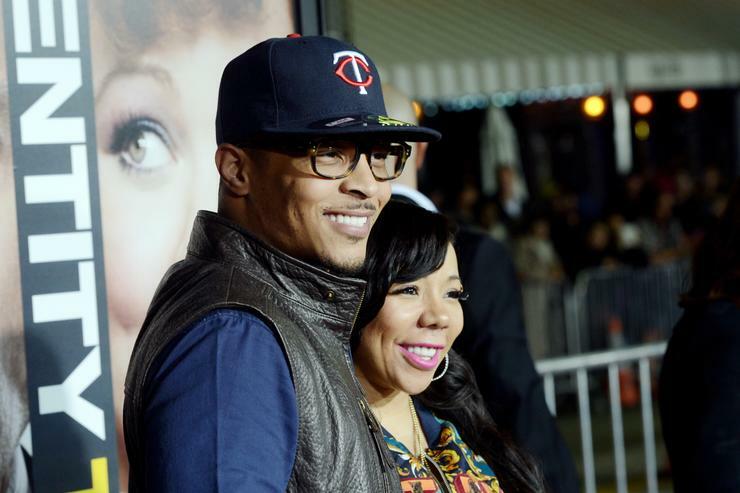 While it's been previously reported that T.I. and his wife Tiny have put the pause on their divorce proceedings for the moment, it seems that they've made up enough to take a family vacation together on-board a massive yacht. T.I. posted a series of videos on Instagram, showing off his family excursion, and honestly, it's hard not to be a little jealous. T.I., his family, and his friends are all standing on board an incredibly large yacht, riding jet skis, and diving into gorgeous blue ocean water. T.I. captioned the post with, "Harris Family Vacation The Big Pimpin Edition 💧🛥 Domani set it off!!!" In one of the videos, Tip is filming some jumps and is told to follow suit, which he replies with a defiant, "For what?" It doesn't seem as though T.I. is adventurous enough to pay to ride a Yacht throughout the open ocean but not enough to actually jump in it. But he's clearly enjoying himself, as he's posted pictures of him and his friends ("The Westside 4 Horsemen" as he calls them), and pokes fun at his son for "think[ing] he in a GAP for kids add tho." and for "Lookin like Tubbs off Miami Vice." Tiny also appeared to be enjoying herself, posting a video on her own Instagram and captioning it,"No better crew I’d rather be with than mine!! @the_next_king10 & @princess_of_da_south @domaniharris1 & @zonniquejailee did it!! #SpringBreakWeekend #FamilyVacation 🙏🏽👑🙌🏽"